As we draw to a close to fixtures for the season, we are looking at the prospect of almost 3/4 of our teams making it through to the finals. Some outcomes this weekend will make or break some teams’ seasons. So make sure you get behind all our teams this weekend and show your support. Sunday 13th September 10am-1pm Holt Bolt Obstacle at St Pauls School Bald Hills. Coaches and Managers are encouraged to contact Ben and his crew for a great deal for your team at Laserzone Lawnton on 3205 4141 or email brisbane@laserzone.com.au. 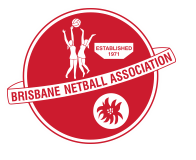 Make sure to tell them that you are from Kedron Lions Netball.